Got an email over the weekend. Subject: Tony Romo. And his cap. 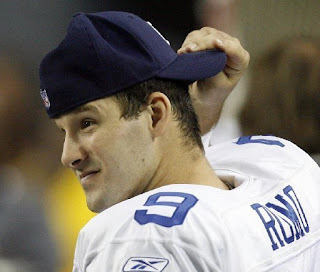 "Until Tony grows up and stops wearing his cap backward the Cowboys stand no chance of being any good." Yep, pretty sure the offending author was - CLUE #3: "Tony" - totally serious. Now if the Dallas Cowboys' quarterback wore his helmet crooked, I could see cause for some concern. But a cap? 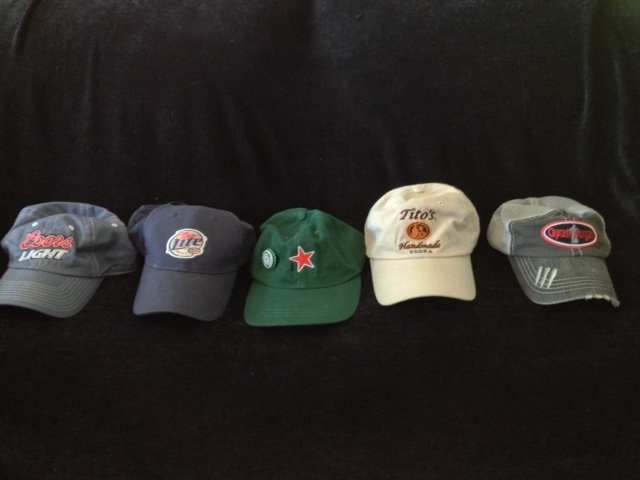 I like hats. Abe Lincoln's stovepipe number. 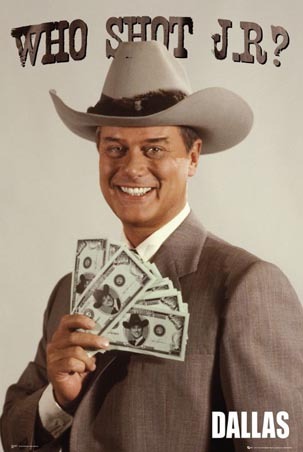 J.R. Ewing's stetson, which was topped only by Don Carter's, which wound up on the Mavs' original logo. Women in caps, giggity. 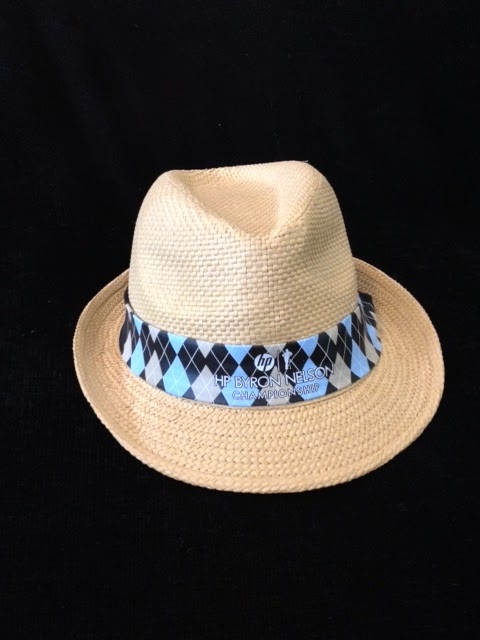 And, of course, Tom Landry's iconic fedora. While some of y'all bemoan the direction of Romo's bill, it got me to thinking about the lids in my life. Got a lot. 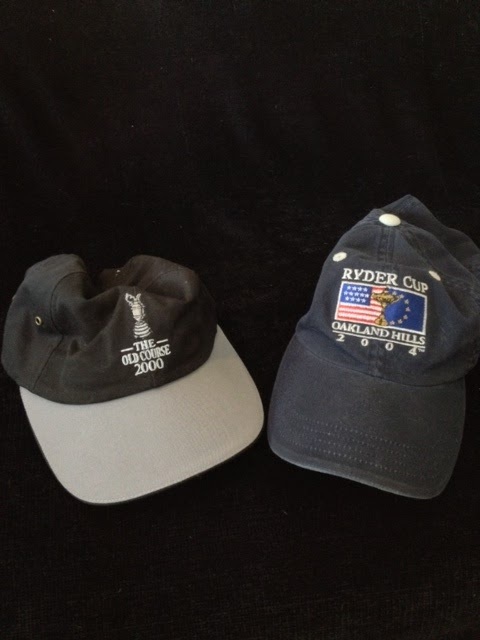 Some on racks in my office. Some hanging in my closet. Some stuffed away in a garbage bag for a rainy day who knows why? So I got 'em down, spread 'em out and - off the top of my head (get it?) - ranked my favorite 10. If you enjoy the list, tip of the cap to you, sir. If you don't, well, go back to wasting your consternation on that immature No. 9's cranium cover. 10. Byron Nelson Classic, 2013 - Stylish and classy, like the tournament's namesake. 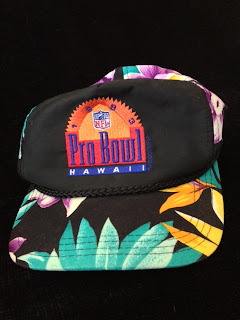 Nonetheless, countless casual hook-ups were green-lighted by margarita-infused brains covered by these in The Pavilion. 9. 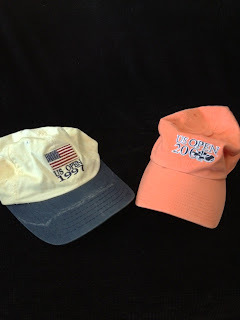 U.S. Open, 1997, 2001 - I'm a tennis dork. Sue me. Saw Patrick Rafter win in '97 and in '01 - two days before 9/11 - I wrote about Lleyton Hewitt's upset of Pete Sampras. 8. Mavs in Mexico, 1997 - First regular-season NBA game played south of the border, in a sold-out Palacio De Los Deportes. 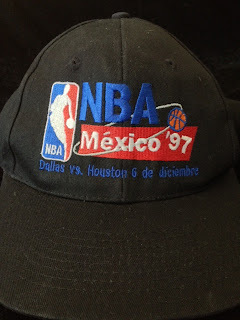 Back in the bad ol' days when I covered the team on a daily basis and Don Nelson was convinced his franchise cornerstones were named Shawn Bradley and Robert Pack. No bueno. 7. Golf, 2004, 2009 - Nothing beats the Ryder Cup. Except, that is, for St. Andrews. 6. Alcohol, Almost Daily - Because having a head makes a man thirsty. No? 5. 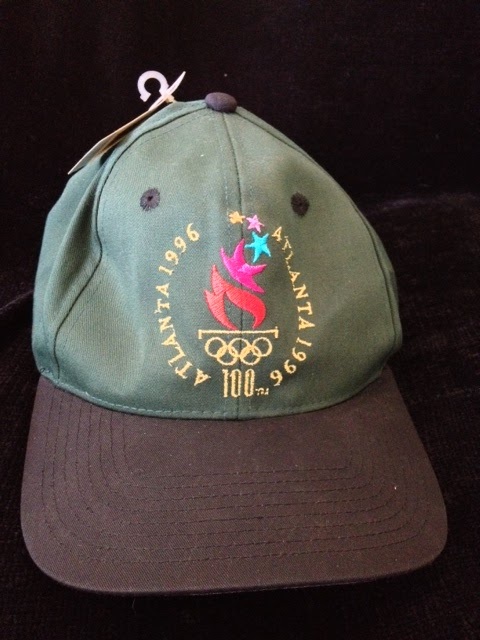 Summer Olympics, 1996 - Michael Johnson's golden shoes, slowed only by the most stressful, depressing assignment of my writing career - the bombing in Atlanta's Centennial Park. Out of respect - not style - I've yet to remove the tag. 4. 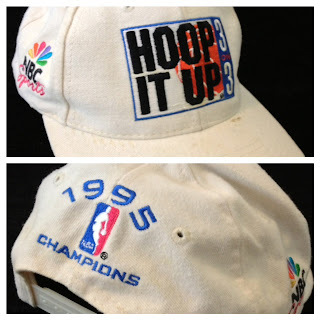 Hoop It Up, 1995 - Part of my winning bounty with a team that consisted of Mike Fisher and two high-school buddies. Jimmy Johnson watched our championship game. Swear. 3. 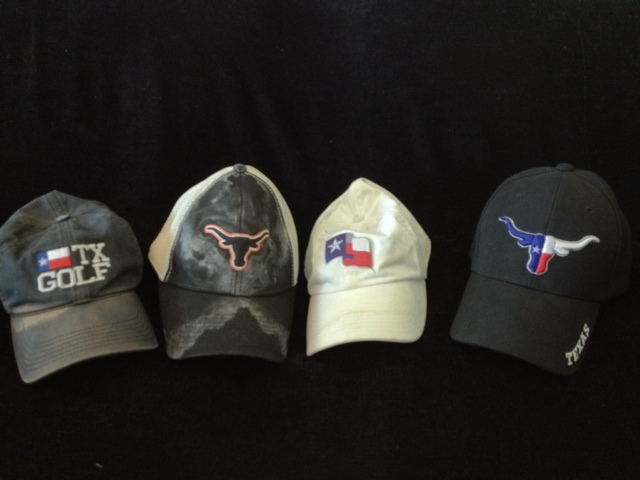 God Bless Texas, 'Til Eternity - Lone Star State, via multiple (some sweat-stained) caps. Does any state have more pride? Didn't think so. And it's not even close. 2. 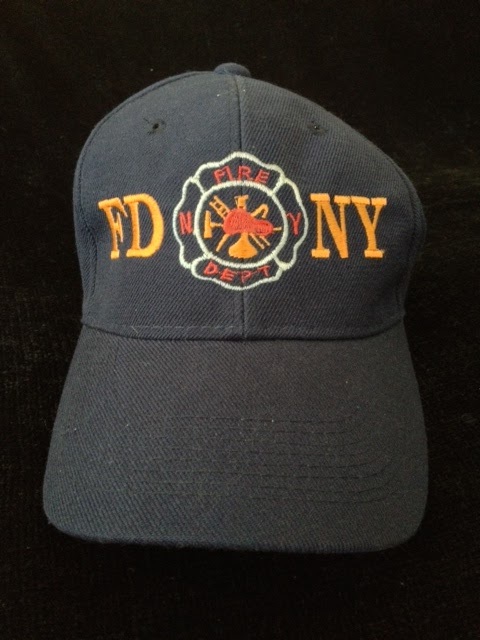 FDNY, 2001 - Bought it from a firefighter at Ground Zero six weeks after 9/11. I was in New York covering Michael Jordan's return to the NBA as a Washington Wizard. Wouldn't trade it for the world. 1. Pro Bowl, 1993 - After a couple days partying on Waikiki beach, Troy Aikman gave me his player's goody bag. It's all I got left. And it's gloriously hideous. Don'tcha think? Was aikman a beer guy like he seems or an anything with alcohol goes kinda guy like Koren Robinson? I like to think drinking with him and garret always led to football talk but who knows...you've lived the dream friend keep up the great work. Beer guy. But he's mix in a margarita. Good times. Yeah, but you showing up here every day just helps to keep, as you say, "hang on." Thanks. And he or she(who are we kidding, he lives with "mom") is inadvertedly making you money! Awesome. Well, RW, at least you didn't post photos of you wearing your favorite hats while wearing "interesting" outfits. But, I believe he had some unfortunate ties. In my opinion, the loser is one who takes the time to hate on someone else - especially on their website, please feel free to get back on your knees now.